Hidden in the lush trees and winding streets of Tarrytown, Reed pool is the very first pool I ever took my daughter to swim in. 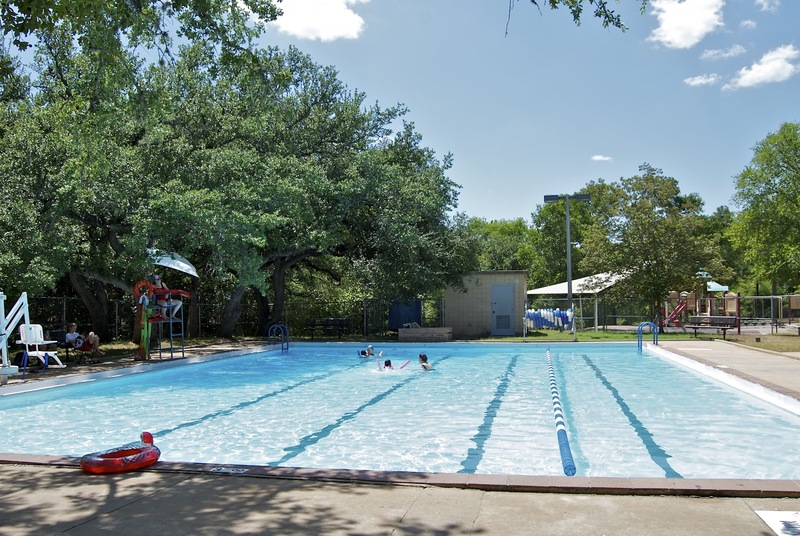 A friend with three grown boys, who had explored free fun in Austin for many summers, had happy memories of spending summers there with her children and wanted to introduce me to the fun that Reed pool and park have to offer. Four years later, Reed pool is one that I frequent even though it’s not in my neighborhood. Sometimes public pools can be overwhelming for me – too many people, too deep for my young kids. But Reed pool, because of its shallow waters and wading fountain pool, attracts mostly families with young kids, making it a pool that I can handle – a true family-friendly pool, especially for those of us with young kids and toddlers. The large pool ranges in depth from 3 feet to 5 feet, with one lane roped off for swimmers wanting to do laps. The relatively shallow water makes budding swimmers, like my four year old daughter, feel a bit more comfortable, thus making the parents more comfortable as well. Off to the side of the main pool, next to a nice wood pergola that provides some shaded seating, is a small wading pool with a fountain in the middle. At just over one foot deep, the wading pool is a great place for toddlers, and their parents, to cool off. 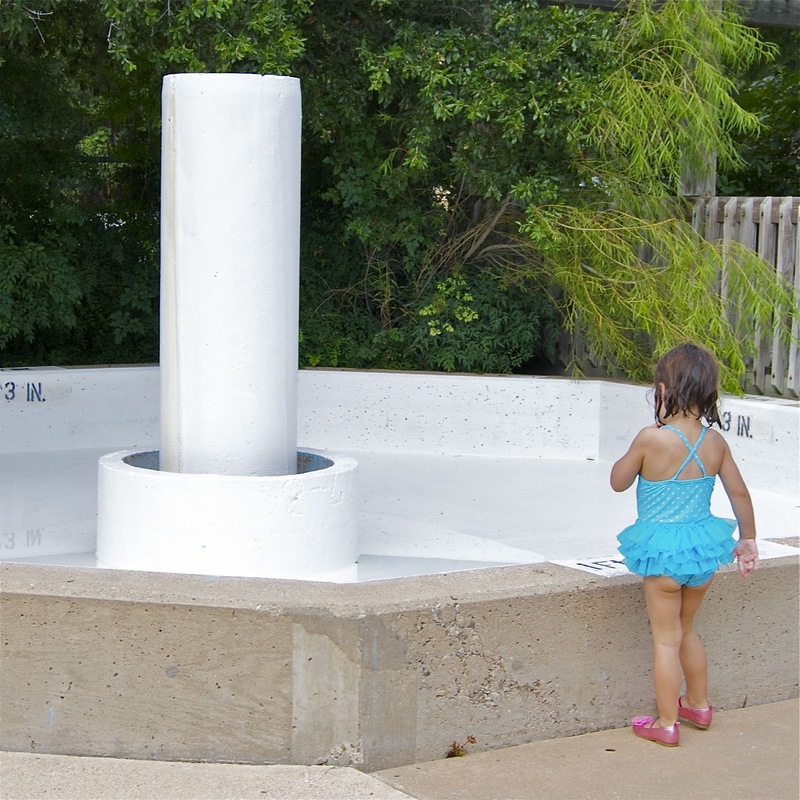 Some days the wading pool isn’t functioning – when the crew is short a life guard or when rain causes maintenance issues – but when it is running, the fountain and wading pool provide the smallest swimmers with a little more independent fun. When you leave the fenced off pool area, there is still much to explore in Reed Park. A creek runs behind the pool, inviting kids to explore and crouch down to watch the minnows swimming in the water. There is a nice small playground on the other side of the pool, a great place to play during the hourly lifeguard breaks. And you can even learn a little bit of Austin history while you’re there as well, picnicking in front of Taylor Lime Kiln Number One, built in 1871. 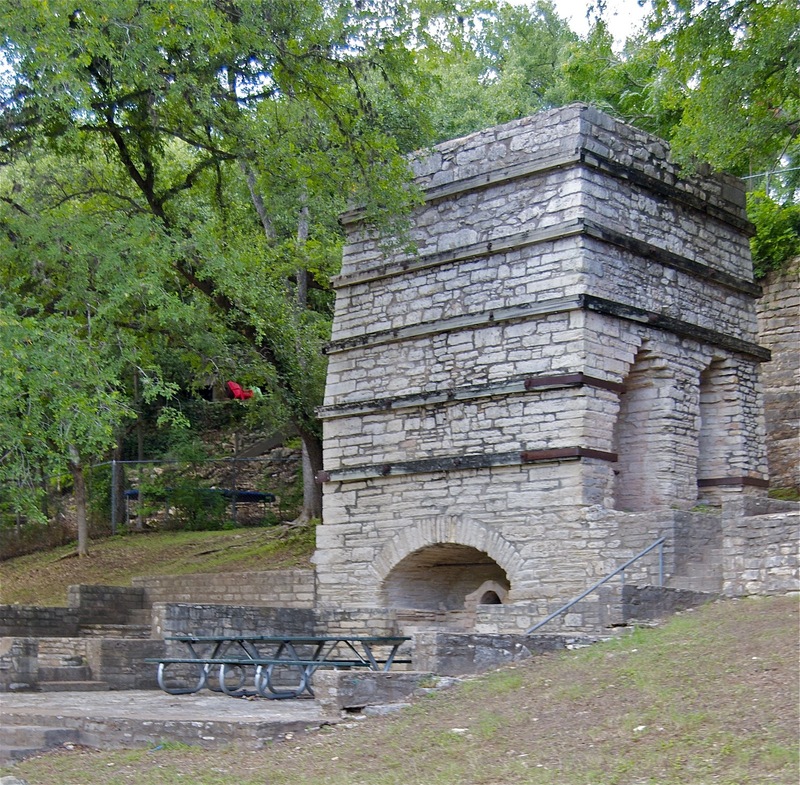 This kiln was, according to the commemorative plaque at the park, a major factor in Austin’s early economy, providing mortar for some of our earliest buildings. And if that doesn’t impress your kids, maybe, like my four year old daughter, they’ll just convince themselves it’s a castle. A full-time High School English teacher, Sarah spends her summers exploring with her two children, hoping to discover the many shaded spots that Austin has to offer. She writes about her adventures in motherhood on her blog, Toddler Summer.